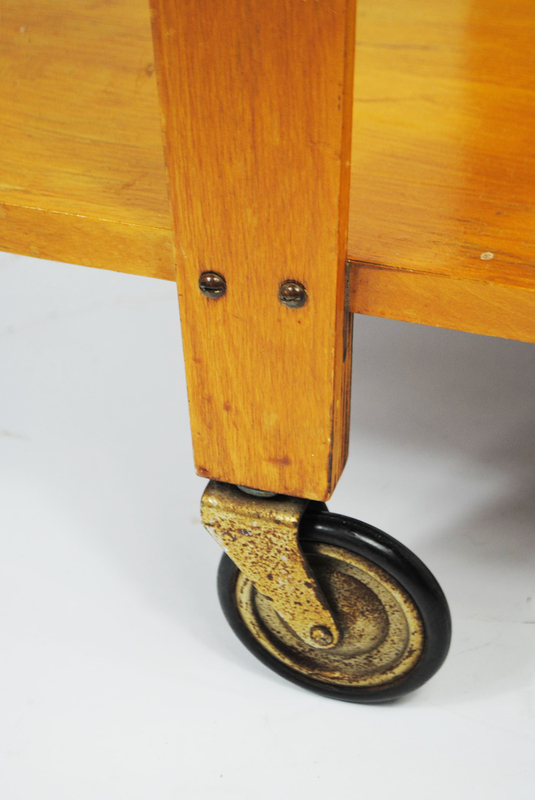 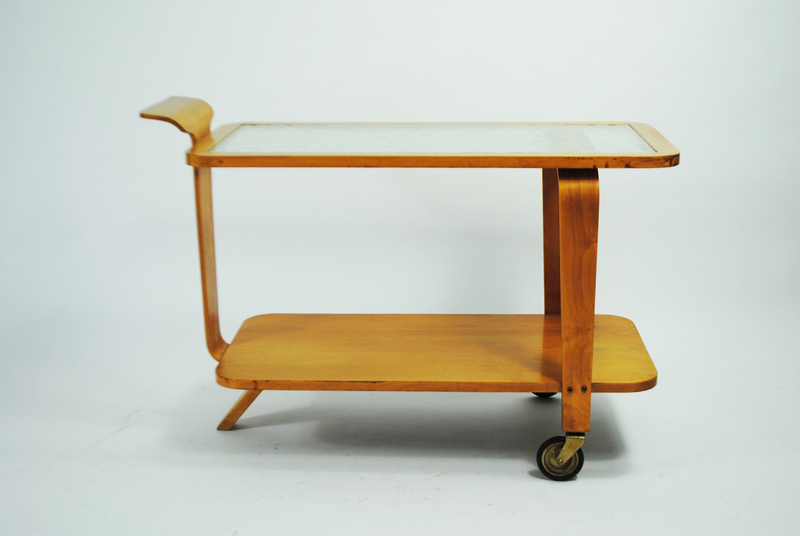 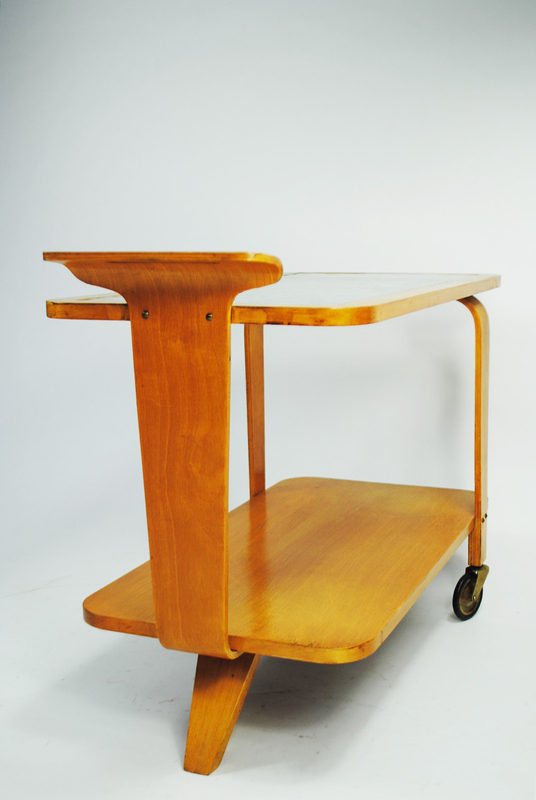 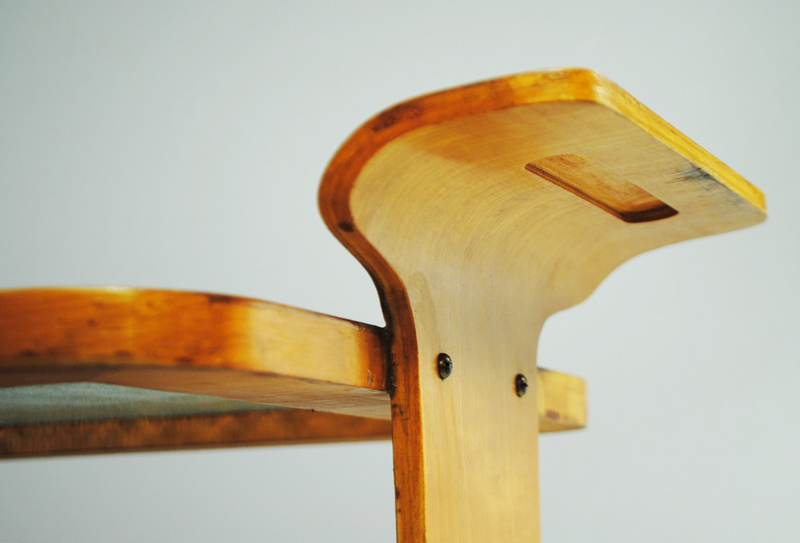 Dutch tea trolley (model 546) designed by Willem Lutjens for Gouda den Boer in 1953. 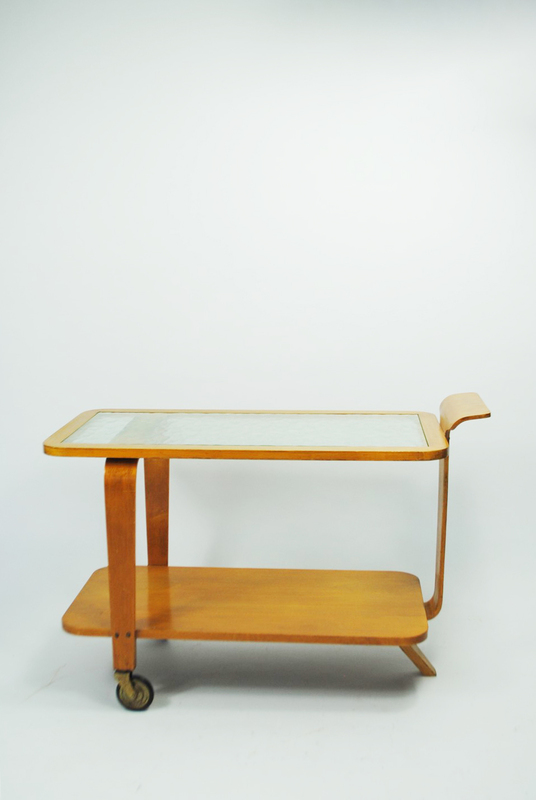 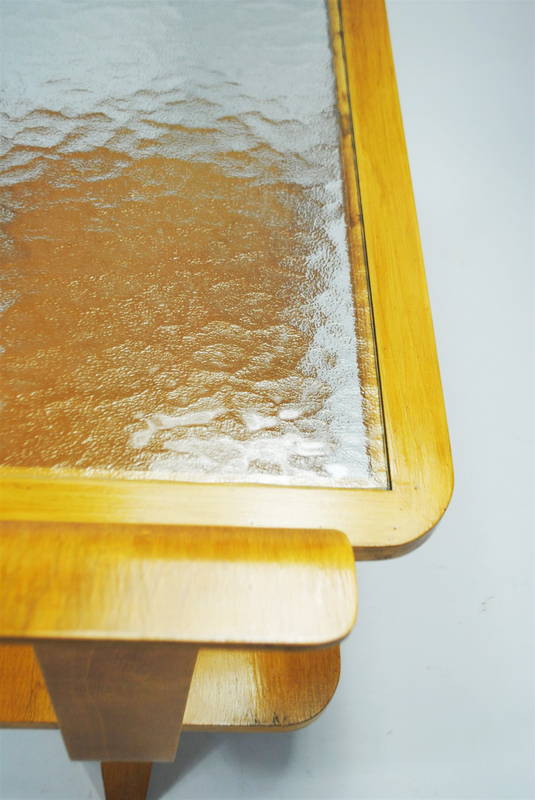 The beech bentwood plywood and the glass top are in an excellent condition. 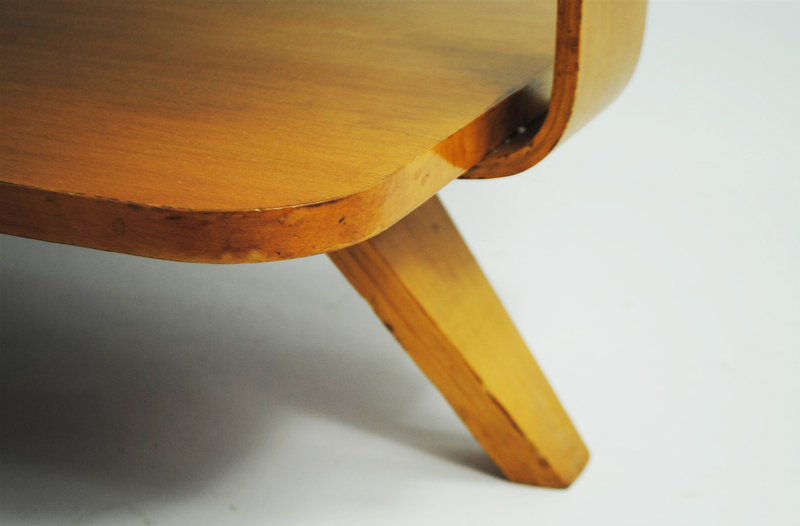 Completely original preserving a beutiful patina. 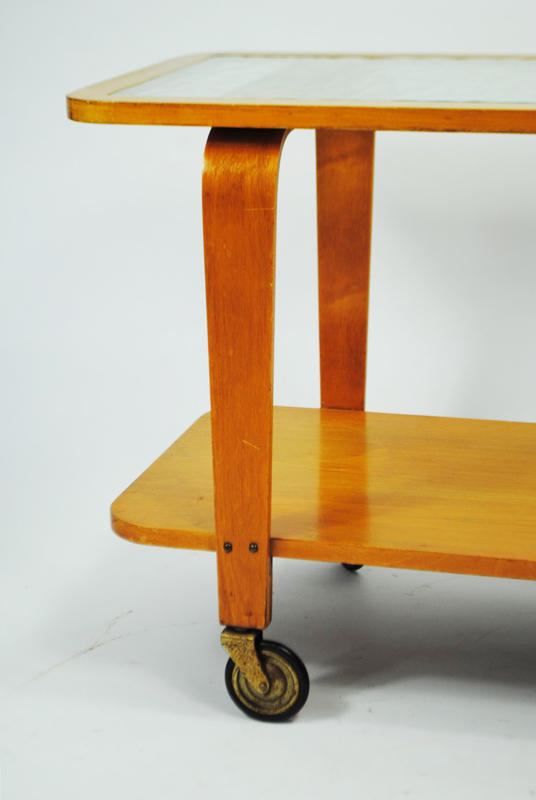 An unique find.